Philip Hurring is an experienced editor and post-production director of prime time television and documentary. 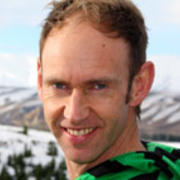 He has edited a wide range of productions for New Zealand, Australian, UK and US television, and for film festival release. Philip has a background as a musician, and is also a certified practitioner of Structural Integration in the field of health and wellbeing.